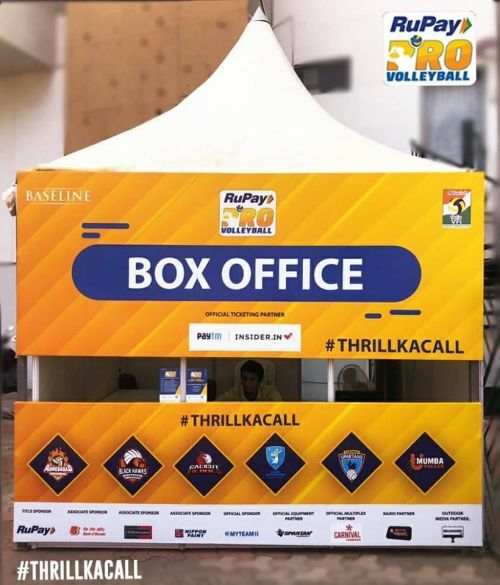 Sale of tickets for the first edition of RuPay Pro Volleyball League kicked off at the Rajiv Gandhi stadium here Monday. The tournament will commence with a match here between Kochi Blue Spikers and U-Mumba Volley on February 2, a press release said. PVL is an initiative of Baseline Ventures and Volleyball Federation of India and matches will be held in Kochi and Chennai. The inaugural season of the league will see a total of six teams take part and 18 will be played. The first 12 matches will take place in Kochi while the remaining six matches, including the two semifinals and the final would be held in Chennai. The tickets have been priced at Rs 299 while season passes will be made available at a 30 per cent discount and the early bird tickets will be available at a discount of 20 per cent. Tickets are also available on Paytm and Insider.in, the tournament's official ticketing partners. PVL CEO Joy Bhattacharjya, said, "We hope that the first season will prove to be a real hit amongst all the volleyball fans in the country." All the matches will be telecast live on Sony Six and Sony Ten 3 and streamed live on Sony LIV.